The Latina Leadership Journal invites you on a personal journey that will support you in appreciating yourself at a deeper level and understanding your unique history, talents, experiences, and future contributions. Journal reflection begins with looking back – retrospection – into the past. This provides grounding and perspective. 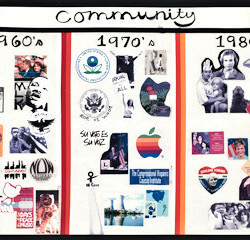 It continues with an assessment of the present that reveals one's values, skills and intention. Then, by looking towards the future, a personal vision that clarifies your life path can emerge. For latinas this must also include a deeper understanding of cultura y comunidad which are the wellspring of Latina customs and way of life. By tapping into these, Latinas stay connected to their community as the advance. THey can find the motivation and commitment to embrace their purpose in life. and to realize their potential. 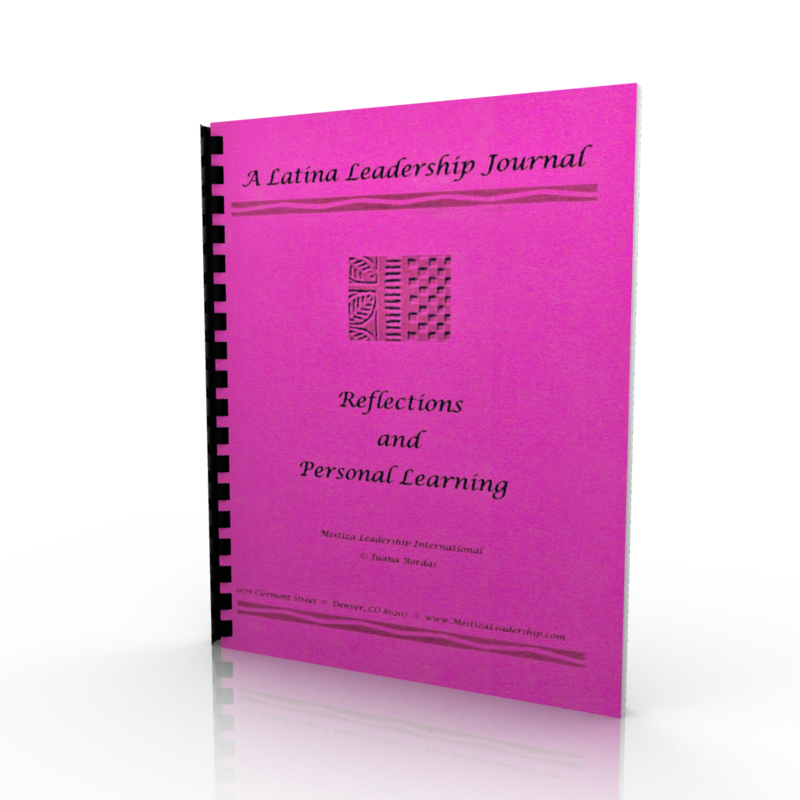 This journal also encourages you to think of yourself as a leader and to recognize that everyone has the capacity to lead. In fact, as the Hispanic community continues to grow in numbers, it will ne essential that many, many people step up to leadership and move our community forward. Today, many latinas have accepted the call to leadership and realize that they have much to offer. 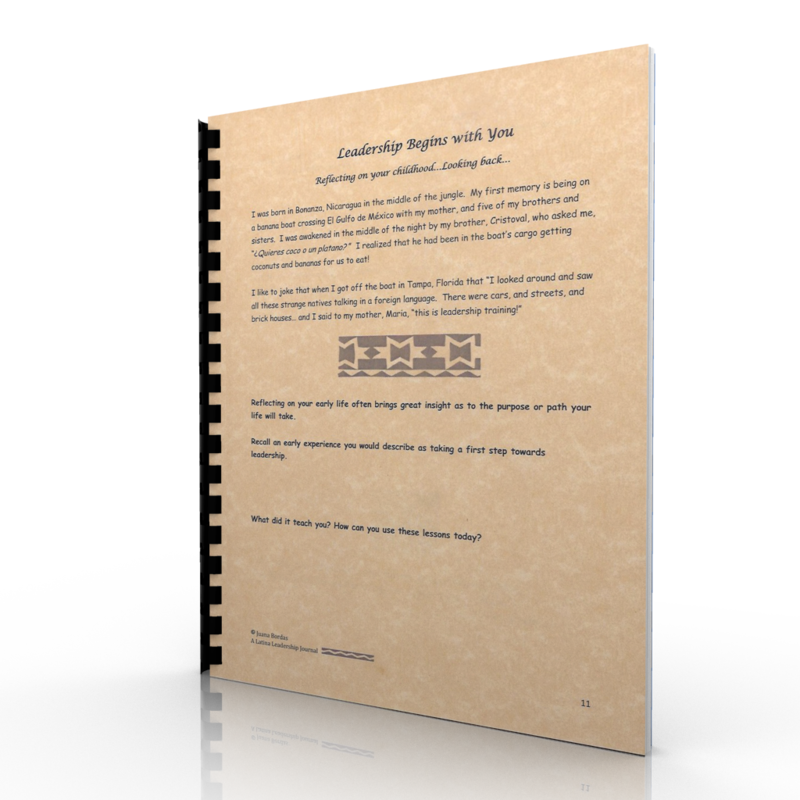 This journal can strengthen and ground their leadership practice so that their optimum talent can be tapped. Most of all, the Journal is a pathway to know oneself better which can lead to personal empowerment. 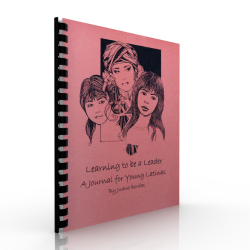 For young women this can be the inspiration for their leadership to begin to blossom and grow. 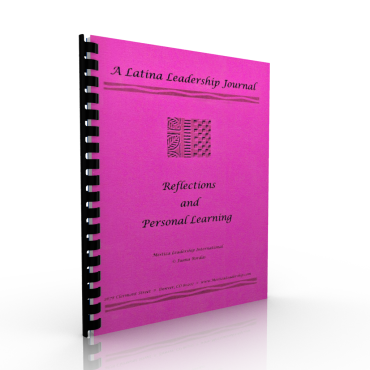 The Latina Leadership Journal invites you on a personal journey that will support you in appreciating yourself at a deeper level and understanding your unique history, talents, experiences, and future contributions. Journal reflection begins with looking back – retrospection – into the past. This provides grounding and perspective. It continues with an assessment of the present that reveals one’s values, skills and intention. Then, by looking towards the future, a personal vision that clarifies your life path can emerge.